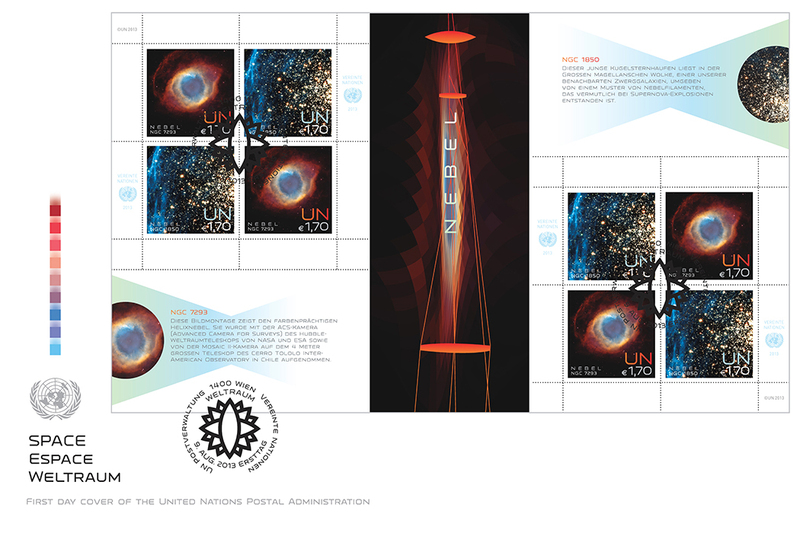 World Space Week is an annual event, declared by the UN General Assembly and is observed during the week of 4-10 October. 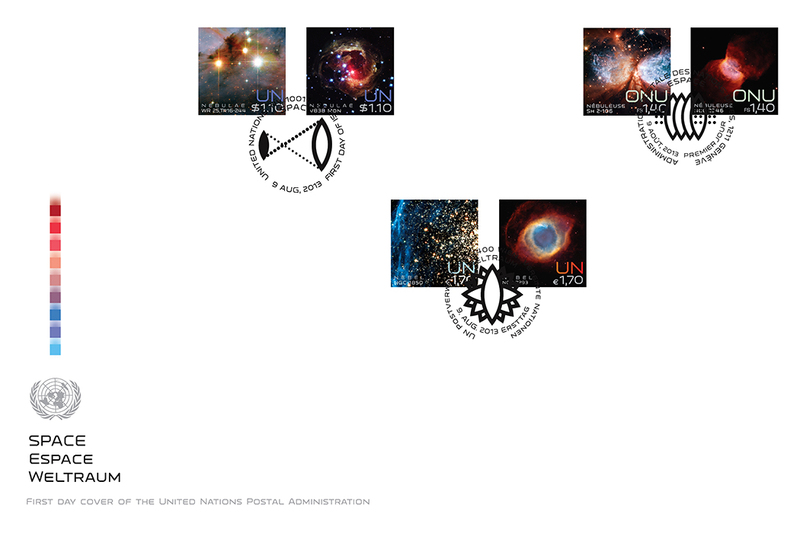 World Space Week is the largest annual space event in the world. 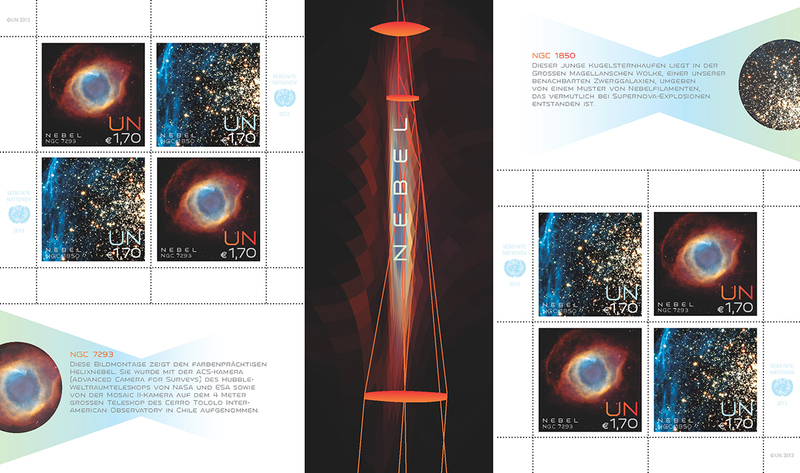 Some of its goals are to educate people about the benefits that they receive from space, encourage greater use of space for sustainable economic development, excite young people about science to inspire the workforce of tomorrow, and to foster international cooperation about space outreach and education. Today, the United Nations Office of Outer Space Affairs in Vienna provides the overall global coordination of World Space Week, under the guidance of the United Nations Committee on the Peaceful Uses of Outer Space, and with the support of World Space Week Association, a non-government organization. 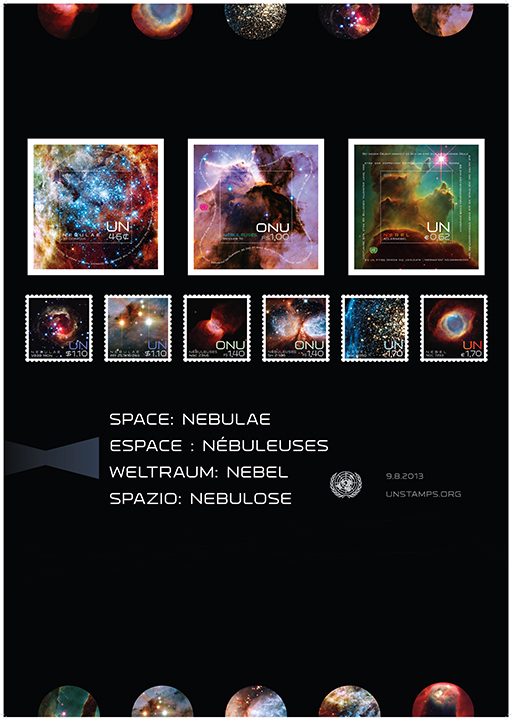 This year’s United Nations “Space” stamps feature images of Nebulae. A nebula is a gigantic interstellar cloud of dust particles and gases in space. It is made up of mainly hydrogen and helium gases. 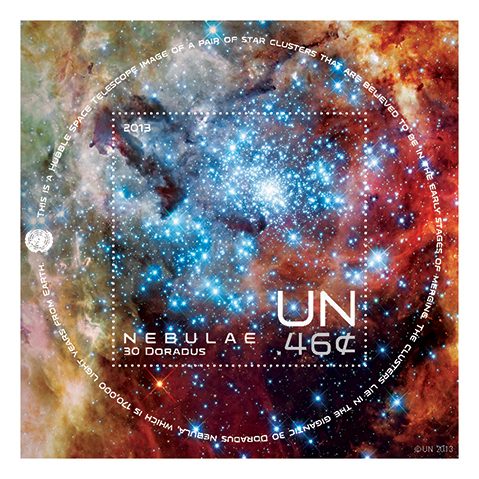 The term nebula comes from the Latin word for cloud. 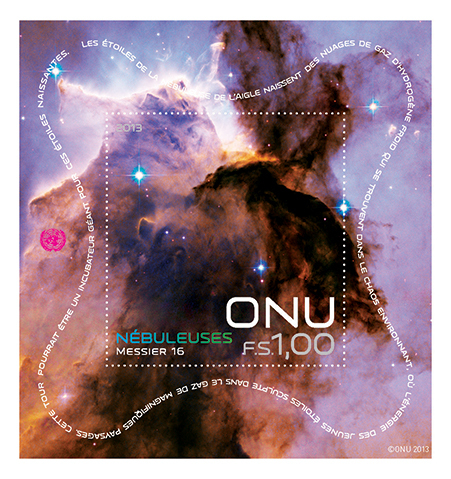 Nebulae come in many different shapes and sizes and can be light years across (trillions of miles). 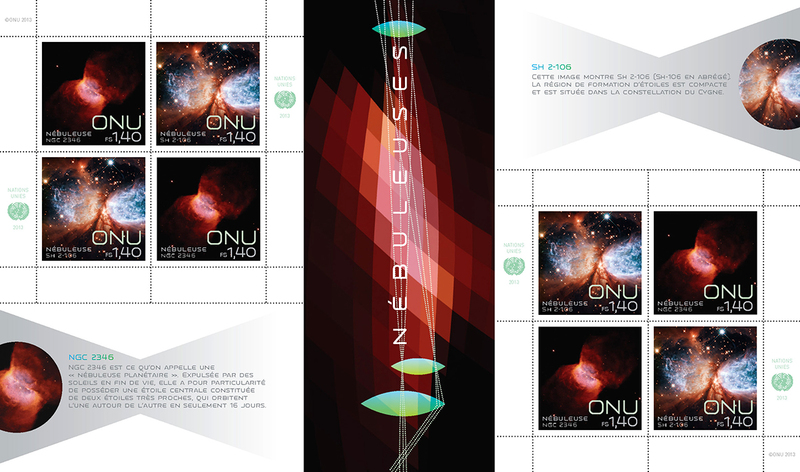 Some nebulas are regions where new stars are being formed, while others are the remains of dead or dying stars. 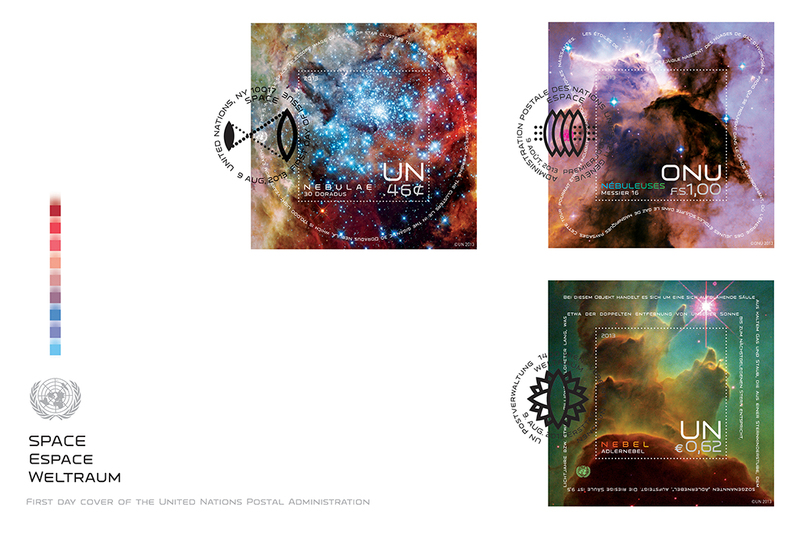 Designed and illustrated by Sergio Baradat, this series of the U.N. “Space” stamps’ official first day of issue and sale is today, August 9th. 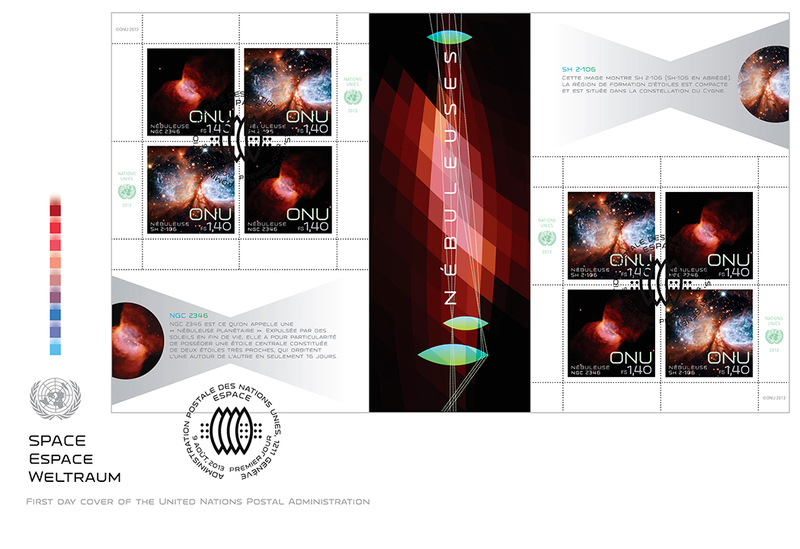 For more information or to purchase, go to the United Nations Postal Administration site. 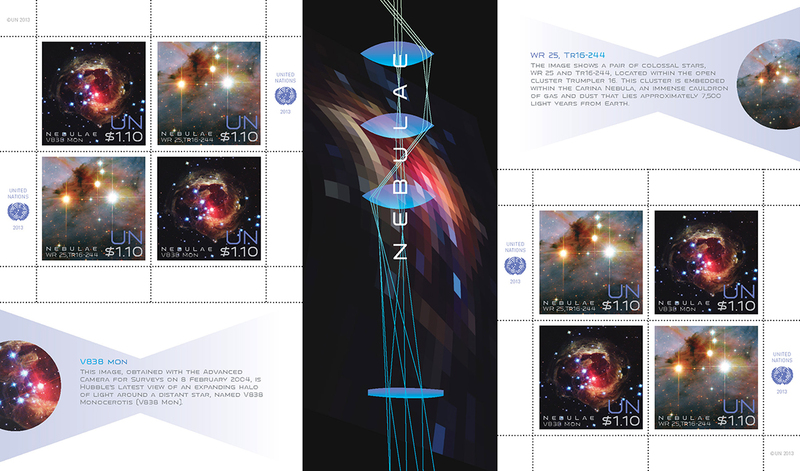 See more of Sergio’s work, go to his website and Altpick page. 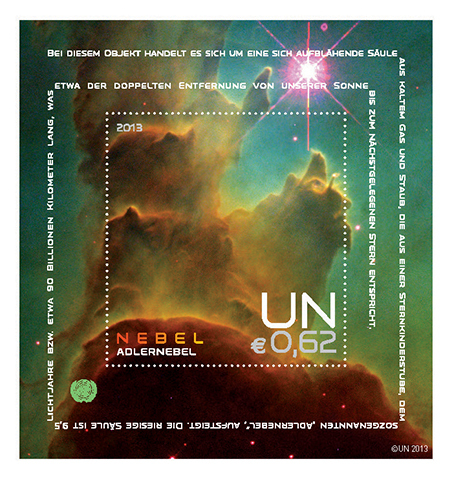 This entry was posted in Altpick, Design, Illustrations and tagged General Assembly, nebulae, October 4-10. world space week, peace, science, sergio baradat, space, stamps, stars, U.N., vienna. Bookmark the permalink.